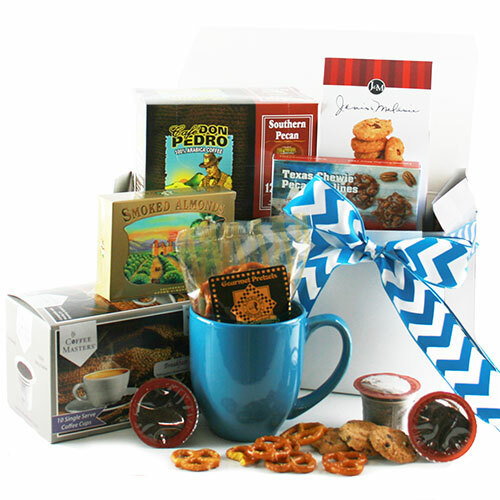 When a little something needs to speak a lot of volumes, this gift box of K-cup and snacks is the message you’re looking for! A towering combination of Your choice of two K-cup boxes (10 single servings each) joined together with a mouthwatering selection of phenomenal treats. Please choose the K-Cups that you wish to include with your gift from the choices below.